The drone landed on the deck of the Swire Pacific Offshore (SPO)’s Anchor Handling Tug Supply (AHTS) vessel, M/V Pacific Centurion and deposited its 1.5kg cargo without a hitch before returning to its base. The entire delivery, from take-off towards the vessel, to landing back at base, took just ten minutes. Operations began with a Toolbox Talk with the Wilhelmsen, Airbus and SPO crew to ensure that the risk assessment was understood by all parties. With final safety checks completed, Wilhelmsen’s Marina South Pier team loaded the drone. Johansen adds, “Delivery of essential spares, medical supplies and cash to Master via launch boat, is an established part of our portfolio of husbandry services, which we provide day in and day out, in ports all over the world. Modern technology such as Unmanned Aircraft Systems (UAS), is just a new tool, albeit a very cool one, with which we can push our industry ever forward and improve how we serve our customers”. “Swire Pacific Offshore is excited to partner with Wilhelmsen in supporting the first shore-to-ship drone pilot project with our vessel, M/V Pacific Centurion. Wilhelmsen and SPO share a longstanding working partnership. We’re confident that this pioneering move of Wilhelmsen will create new opportunities for future collaborations with SPO, improve work efficiency and drive cost savings for players in the offshore industry,” says Duncan Telfer, Commercial Director, SPO. Prior to the official launch of this shore-to-ship commercial drone delivery, SPO’s Anchor Handling Tug Supply Vessel (AHTS). M/V Pacific Rapier has also facilitated the earlier pre-trial session in Singapore waters. "We are thrilled to launch the first trial of its kind in the maritime world. Today’s accomplishment is a culmination of months of intense preparation by our dedicated team, and the strong collaboration with our partner, as we pursue new terrain in the maritime industry," says Leo Jeoh, Airbus Skyways Lead. The ongoing pilot trial will for now, focus on offshore supply vessels at anchorage 1.5km from the pier. With operational safety as a priority, flights will be limited to this distance for the time being, before the flight range is gradually ­­extended to as far as 3km from the shore. 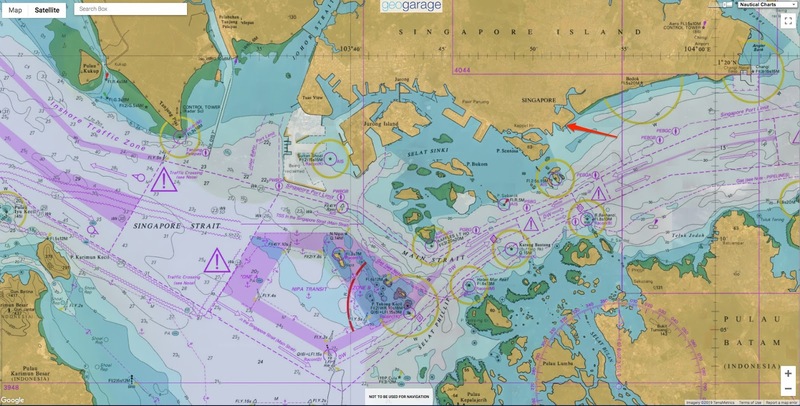 The Maritime and Port Authority of Singapore (MPA) is facilitating the trial, which started in late November 2018, through the interim use of Marina South Pier as the launching and landing point for Airbus’ delivery drone. At the same time, MPA has designated anchorages for vessels to anchor off Marina South for the trial.